Home/alice slater/If Indie Bookshops Can Pay a Living Wage, Why Can’t Waterstones? If Indie Bookshops Can Pay a Living Wage, Why Can’t Waterstones? Everyone deserves a Living Wage. This isn’t that radical a statement, really: all I’m saying is that everyone deserves to be paid enough money for doing their job to allow them to eat proper meals, travel to work (and, heaven forbid, to other places they might also like to go to), and generally live comfortably. However, despite the fact that the right to decent pay should be universal, there are a massive number of workers in the UK for whom a Living Wage is not a reality. A 2018 KPMG report states that an estimated 5.75 million employees in the UK are paid less than the recommended national Living Wage (£10.55 an hour in London; £9 an hour elsewhere.) The report also claims that “the total number of jobs that pay below the Living Wage has risen by 1.2 million compared to 2012,” and suggests that of all sectors, sales and retail assistant jobs represent the highest proportion of roles that see people earn less than a Living Wage (the report suggests that this number is “approximately 756,000”). The Living Wage emerges periodically as a news item, usually because another group of workers has started campaigning to claim what should already be theirs. Currently, retail employees – or booksellers – at the UK’s largest book chain Waterstones are going into that particular battle. Last month, Waterstones staff member April Newton started a petition addressed to James Daunt, CEO of Waterstones, calling on him to increase booksellers’ wages in line with the Living Wage. On Monday the 8th of April, that petition was delivered to Waterstones’ London head office, with the strong support of more than 1,000 authors including best-sellers Sally Rooney and David Nicholls, who signed an open letter from writers to the firm. To coincide with the petition, workers also launched the book Working at Waterstones, a collection of 40 anonymous bookseller profiles. In it, staff discuss the sad reality of loving your job and all the good you are able to do in it, but having to envision a future outside of it because it just doesn’t pay enough. Indeed, when staff members feel appreciated (a feeling fostered by paying the Living Wage), it follows that they’re more likely to feel happy at work, and remain in their jobs. And so, as staff members become more experienced, that can in turn open up more prospects. 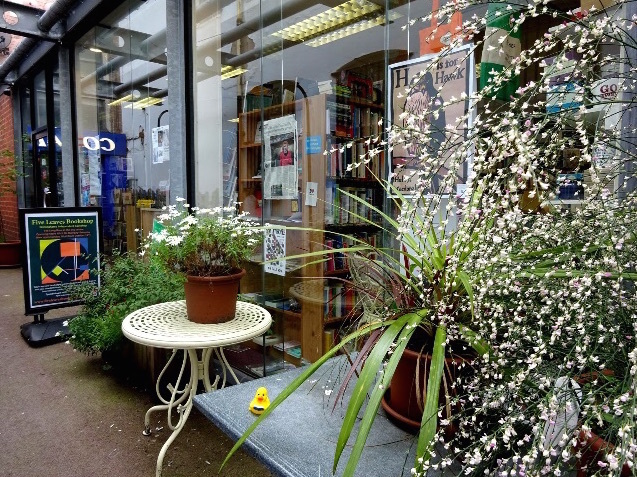 In fact, two of the independent bookstore owners I spoke to for this piece told me that their Living Wage-paid booksellers were involved in lots of different parts of the business, from buying to running staff-led initiatives and events. It’s true that , as a retail job,bookselling in particular requires employees to live and breathe book culture – booksellers are expected to be well-read, full of recommendations, and versed in new literary trends and releases. As such, many spend a huge amount of time outside of work keeping up, simply because of their passion and enjoyment for the role and for books in general. From her point of view, it’s as if Daunt recognises that bookselling is a demanding job, and wants it to be viewed as such, but won’t remunerate his employees in a way that recognises this. “Part of the problem is that James Daunt seems to believe that bookselling, a job that he doesn’t actually do, is a reward in itself and it simply isn’t,” Alice says. More stores can present further staffing challenges when wages simply aren’t high enough to retain employees. Indeed, Alice names understaffing as another problem affecting Waterstones booksellers, and says that she does believe that better pay could go some way towards helping with the challenges faced on the shop floor. “Skipping breaks, unpaid overtime, coming in whilst sick and working alone all come with the territory of understaffed shops. It’s impossible to offer the same level of diligent customer service that Waterstones customers expect when you’re alone on the shop floor, have a thousand things to do, a full bladder, a rumbling stomach, a queue of people demanding to know why there isn’t anyone else available to serve them and a full 40 minutes before someone will be free to cover the shop floor,” Alice explains. Alice is keen to stress that Waterstones is not the only company in the book sales industry letting workers down (she points me towards Twitter account @BookshopStaff, which keeps an invaluable running record of labour struggles in the literary world’s retail sector). But as Britain’s biggest book chain, with 283 locations, and recent acquisition of rival chain Foyles, Waterstones has an unprecedented level of influence on what literature reaches the public at large. You can’t deny the relevance of pointing that out. And therefore, you could argue that Waterstones should be setting the standard for industry practices. She also adds that she feels the warmth and care of booksellers to have been crucial to her novel’s success; as such, she’s enormously grateful to them: “Being a debut author is pretty terrifying, and the success of our books depends on the enthusiasm and love of booksellers. Since my book was published I’ve been honestly bowled over by the brilliance of so many Waterstones booksellers – they’ve hand-sold my books, made videos about it, told people about it, run events, and gone above and beyond,” she says. Here, Sophie also speaks to the wider fact that booksellers are increasingly responsible for the proliferation of literature and reading amongst the British public. Libraries are closing rapidly, and for many, bookshops play the important role of encouraging reading, introducing consumers to new voices, and upholding the UK’s literary culture. We support unequivocally the assertion that higher bookseller pay is desirable. This said, we judge that we pay overall what it is prudent to do in the present retail climate. When so many fellow retailers are in dire straits, including such peers as Paperchase and Majestic, and with widespread closures from the likes of M&S’s and Debenhams, to do otherwise would be irresponsible. We defend also that we chose to invest in the pay of those committing to careers at Waterstones. In September we awarded 3 percent to those booksellers above the entry level, and a further 4.9% percent in April to preserve the incremental rates paid to experienced booksellers. Pay has been progressing at Waterstones, even if we would all wish that it was doing so faster. 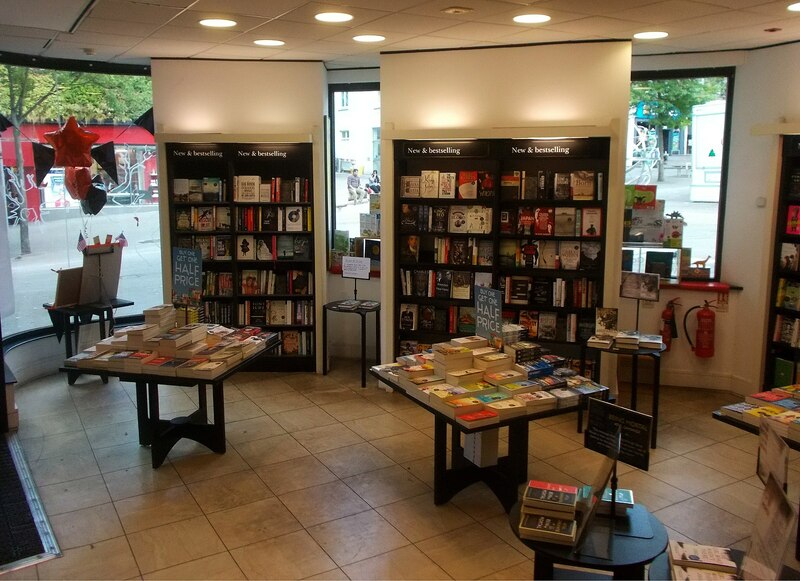 If we were to close our less profitable shops – say half – then Waterstones also would be able to do so. Of course, 1,500 people or so would lose their jobs which we believe to be destructive and highly undesirable, to say the least. A very small number of independent bookshops commit to the Living Wage, and the only one in London is Daunt Books. If they can afford to do so, it is of course right that they do. Waterstones carries a very large number of shops with little or no profitability, and this undoubtedly constrains its ability to pay better. After all, Waterstones came close to bankruptcy very recently, and only returned to profit in 2015.